Brexit optimism-led GBP rally stalls, as markets turn risk-averse ahead of the US-EU meeting on trade. Looks to retest weekly tops near 1.3175 on disappointing US new home sales data. 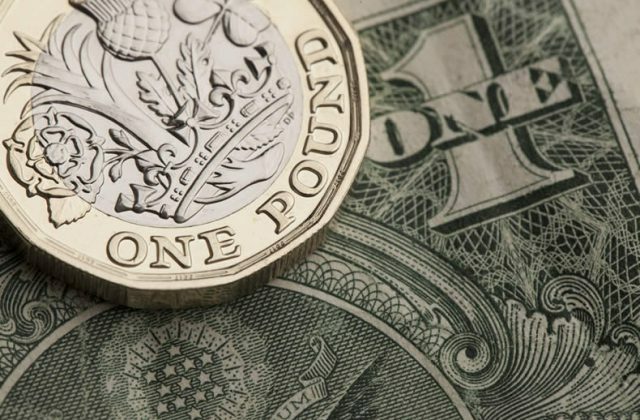 GBP/USD built on yesterday’s rebound and went onto hit fresh one-week highs at 1.3174 before reversing sharply towards the 1.3140 demand zone in the European session. The retreat from weekly tops can be mainly attributed to a bout of risk-aversion that gripped the European markets, with markets turning cautious heading into the crucial trade talks arranged between the US President Trump and European Commission President Juncker later on Wednesday. However, fresh buyers emerged near 1.3140 levels, prompting a minor recovery in the major above the midpoint of the 1.31 handle, as the renewed weakness in the US dollar across its main competitors comes to the rescue of the GBP bulls. Moreover, the sentiment around the pound remains underpinned by Tuesday’s announcement by the UK PM May that she will take over the control of Brexit negotiations. Moreover, upbeat UK CBI realized sales data also added legs to the recovery in the pair, as a retest of weekly tops looks inevitable ahead of the US new home sales data. Slobodan Drvenica at Windsor Brokers Ltd., notes: “Extension of Tuesday’s rally cracked technical barriers at 1.3160/73 (50% of 1.3362/1.2957/20SMA) but without a clear break so far. Flat momentum and mixed setup of daily MA’s keeps the pair without clear direction. A sustained break above 20SMA and Fibo barrier at 1.3208 (61.8%) is needed for the bullish signal for extension towards 1.3300 zone targets (falling 55SMA/16 July high/falling daily cloud base). The bearish scenario requires to break below 10SMA (initial support at 1.3139) and extension below Tuesday’s low (1.3071) to expose psychological 1.30 support and key point at 1.2927 (19 July low) in extension.